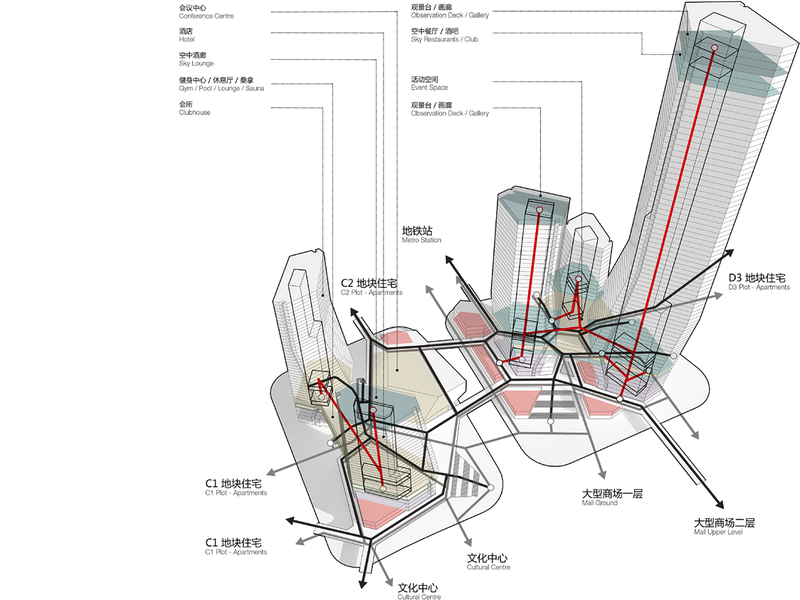 The Xinhe Delta Project project is a major urban development area at a key landmark site within Changsha, the capital of Hunan Provence China. 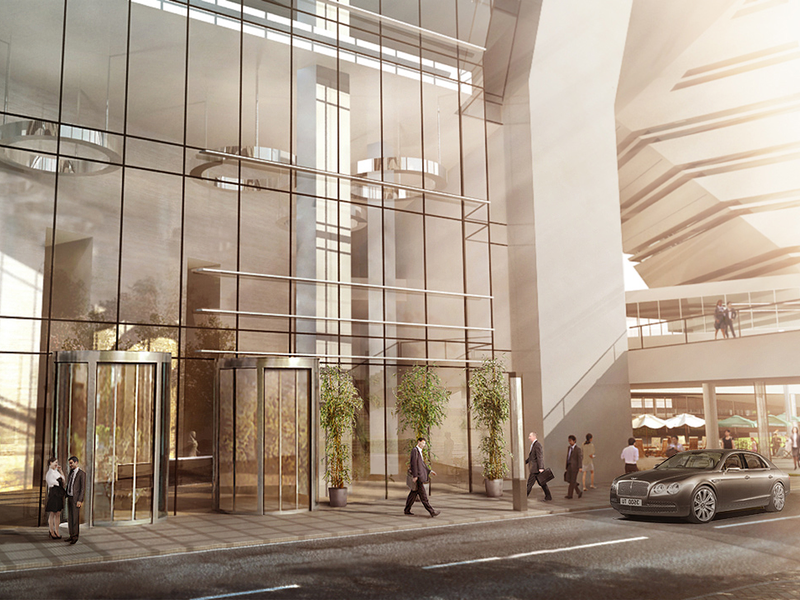 The A2 and A3 plots will house the centrepiece of the area, intended to house several high-rise and low-rise buildings containing offices, a hotel, apartments, retail and a major conference centre. 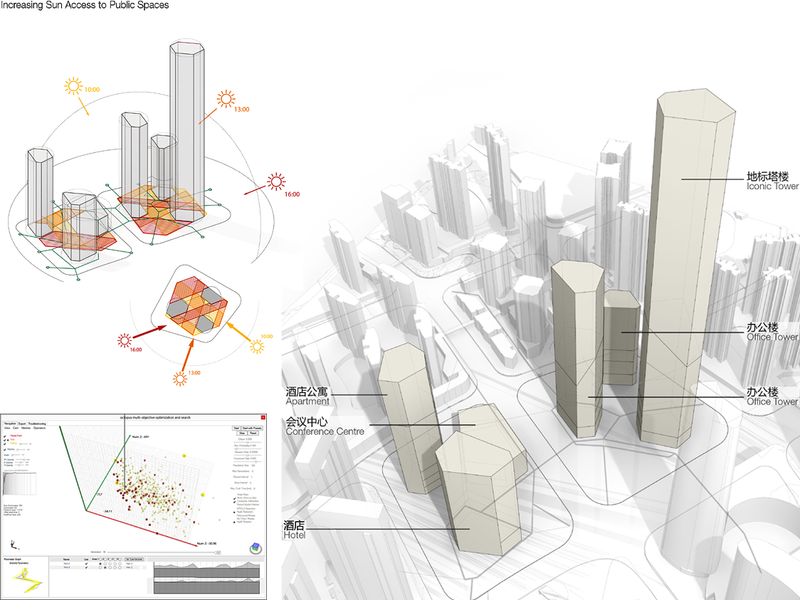 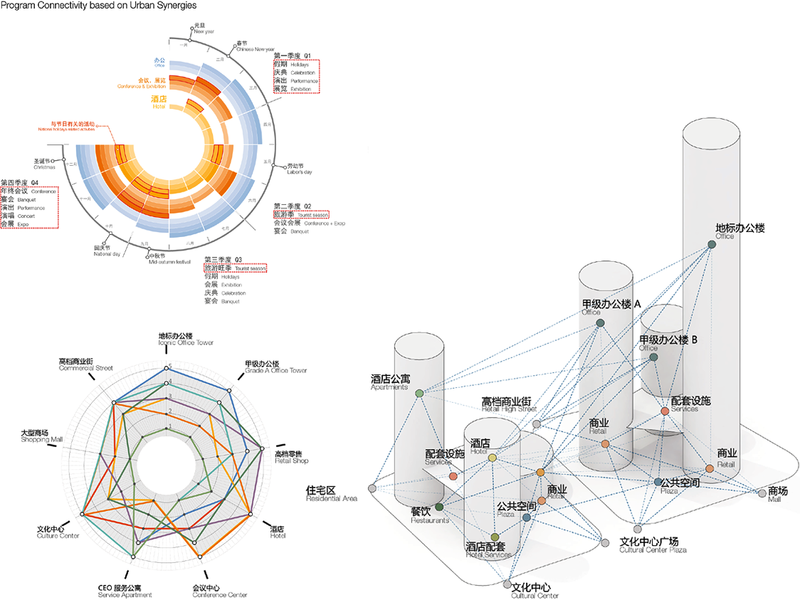 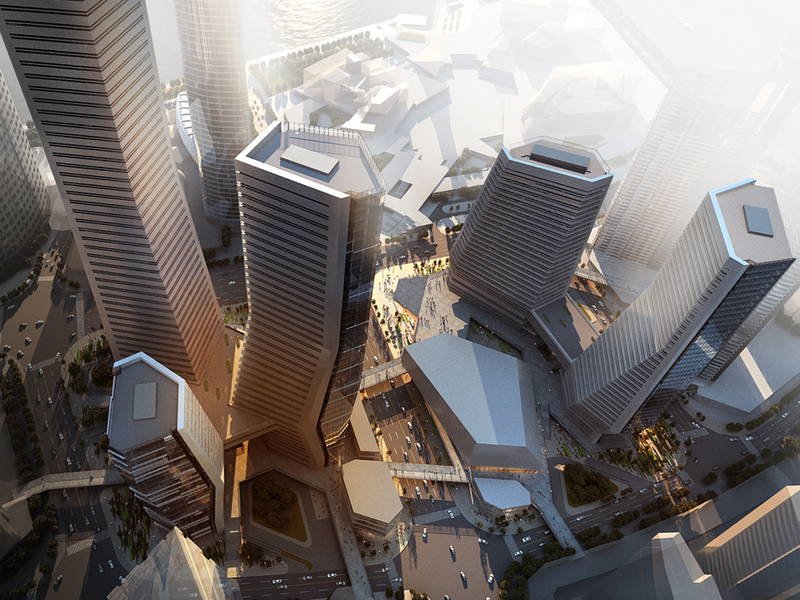 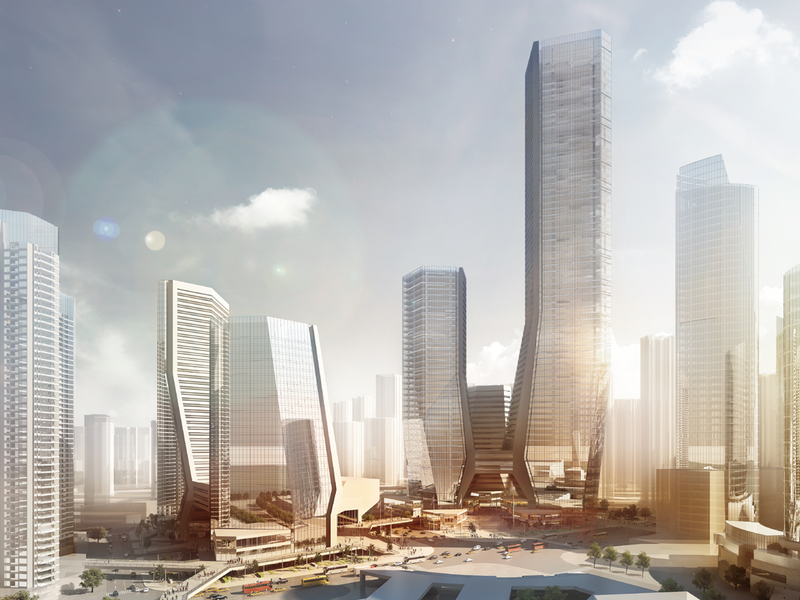 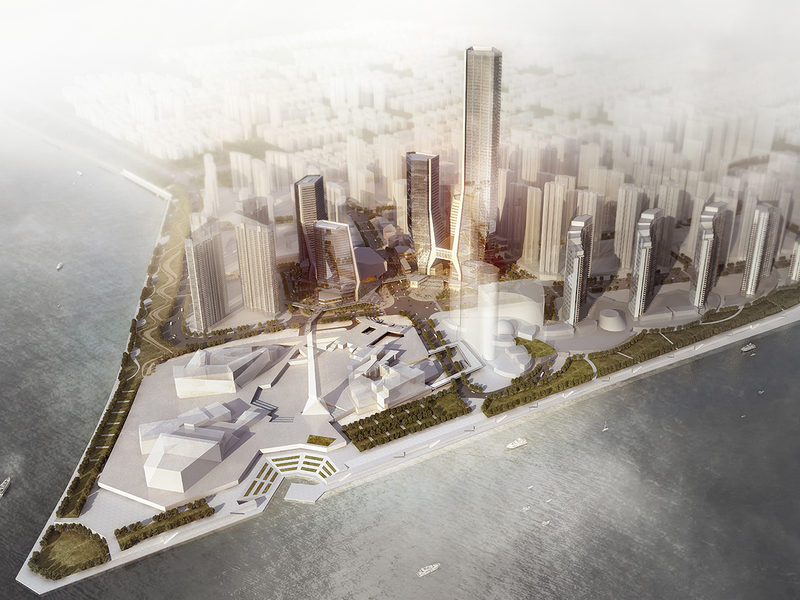 Our submission for the invited ‘Changsha Centre’ design competition was conceived through a thorough generative design process, taking large amounts of site, marketing and program efficiency data as an input. 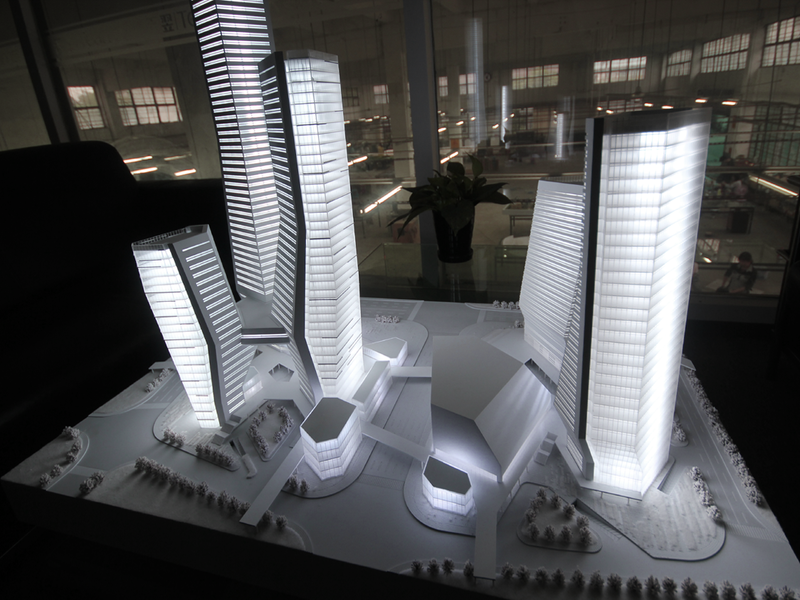 The data was used to determine building locations and volume adjustments, sculpting the individual buildings to create maximum sunlight penetration and views from and towards the site. 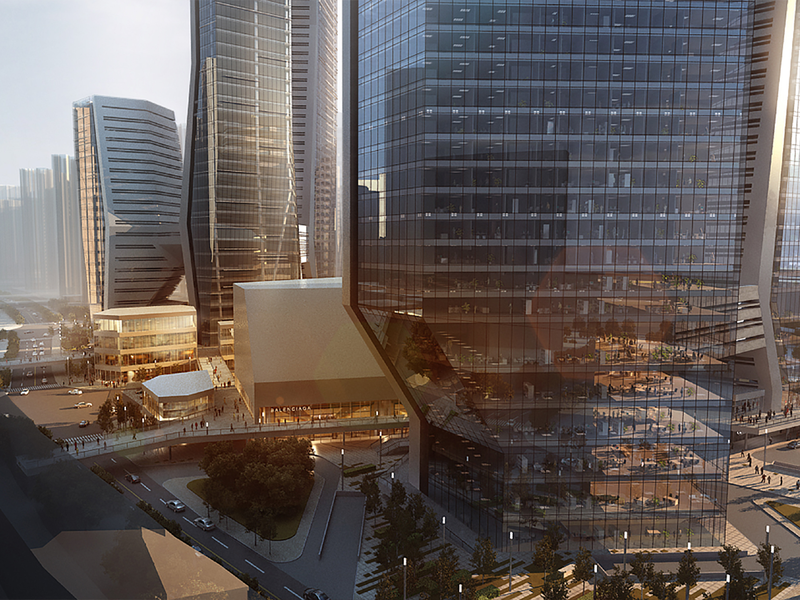 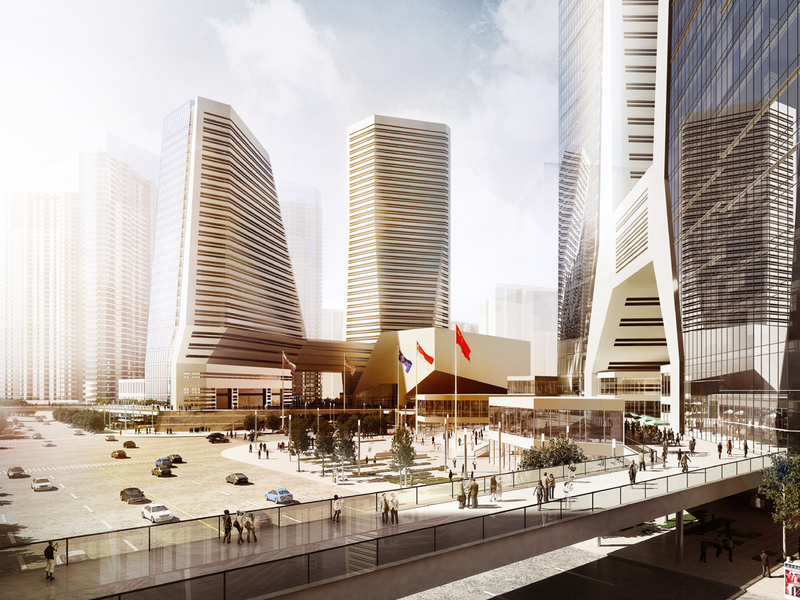 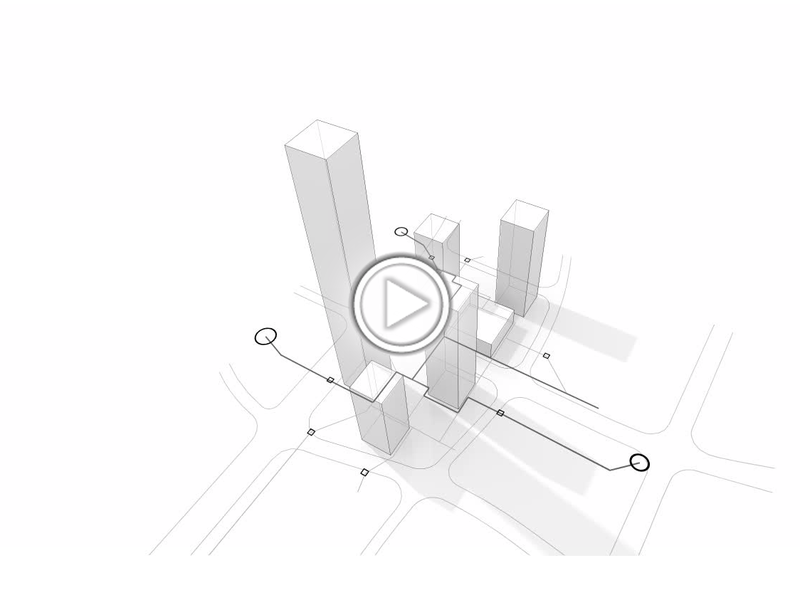 At the core of the project is an intricate network of circulation space and public plazas, located strategically to stimulate ‘urban synergy’: engaging the surrounding urban context and creating spaces inside the project for flexible and overlapping activities between the various program elements. 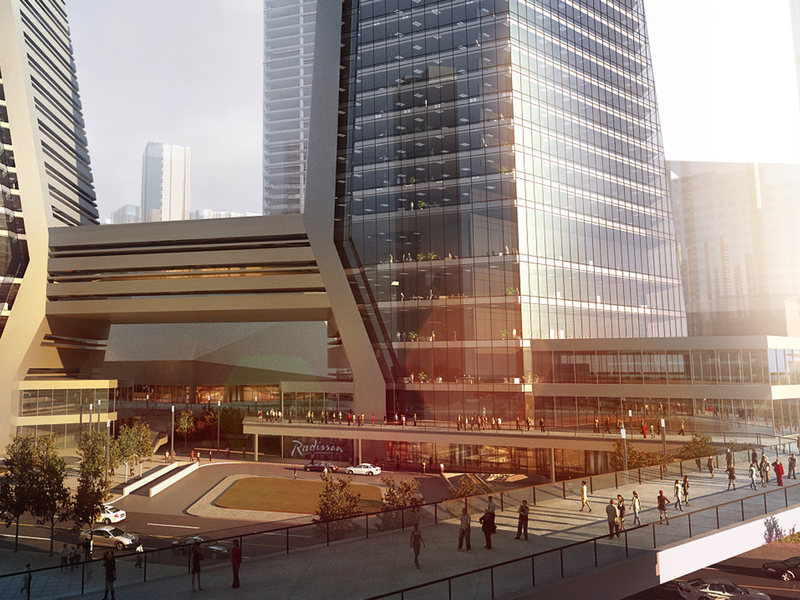 The network of ‘synergetic spaces’ continues inside the buildings, forming two large elevated platforms that house shared facilities between different office towers and between hotel and serviced apartment buildings. 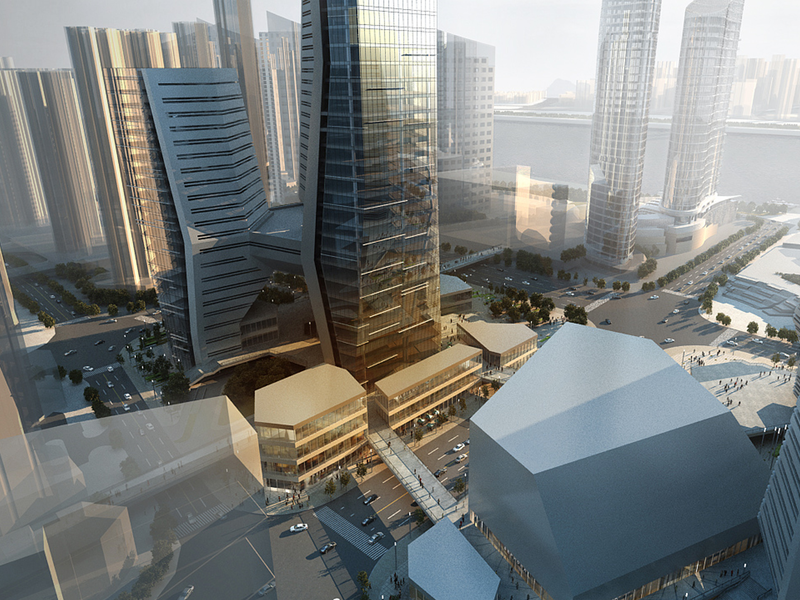 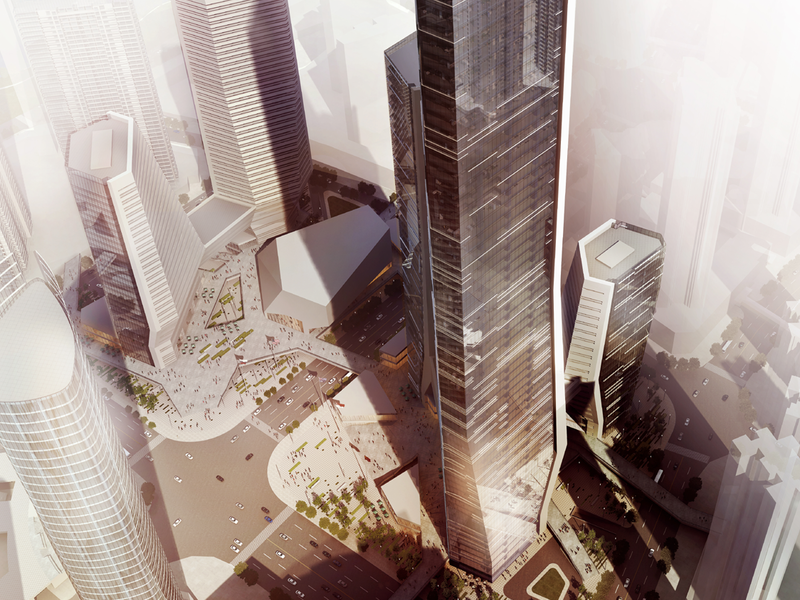 The largest elevated platform is designed as a multi-functional hall for major cultural and business events, offering a new central venue with unique architectural character to the cultural and economical societies of Changsha. 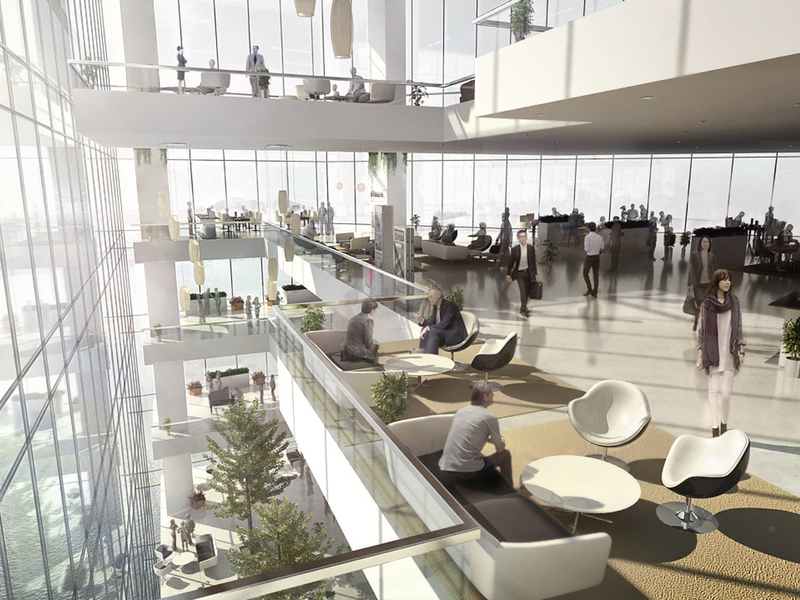 Particular attention was given to the design of a 388 landmark office tower, integrating its formal language within the architecture of the overall project but allowing it to stand out through its series of cascading internal terraces and wintergardens. 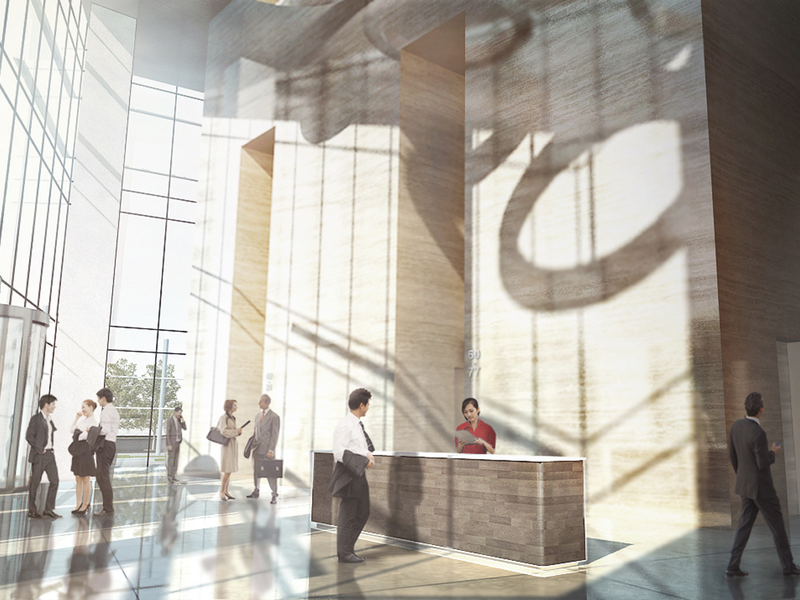 This system of atriums is digitally calibrated towards the best views and sunlight orientations within the local context, adding to the overall architectural design strategy to develop buildings entirely informed by program and context.